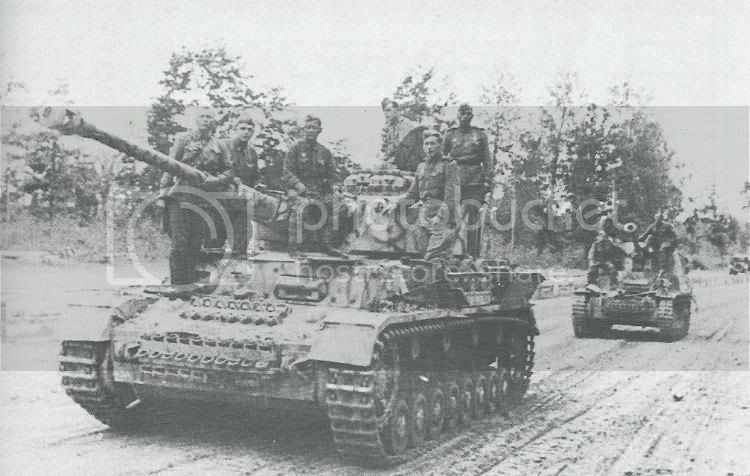 Panzer IV in Russian hands (cant identify the second vehicle though despite it being a well known shape). same here...open at the back...ATG on chassis....damn....SU-?? Actually I am leaning towards another captured German vehicle the Wespe - leFH 18/2 auf Fgst Kpfw II. That should be a Marder II on the PzII chassis. Wepse would have a shorter barrel with bigger diameter.